Full, lifted cheeks are a sign-post of youth—and having the right contours can give your face a more harmonious look. Read on to learn how our talented cosmetic surgeons can help improve the volume and shape of your cheeks with implants. High cheekbones are generally considered a sign of beauty, giving the appearance of elegance, youth, and vitality. A great cheek contour can also bring harmony to your facial features, improving your overall look and the proportions of your face. Thousands of dollars are spent every year on highlighters and products meant to improve the contour of your face and bring your cheeks to light. Unfortunately, the illusion of makeup can only go so far—and not all of us were blessed with naturally full, high cheeks. That’s where we come in. What is surgical cheek augmentation? 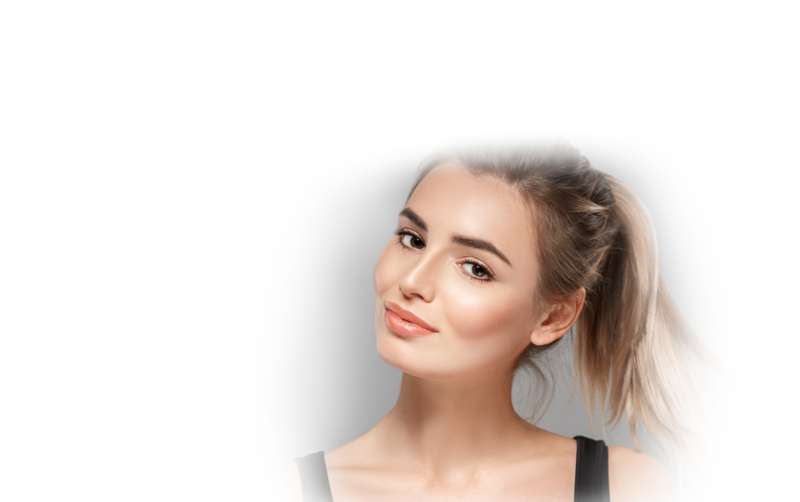 Simply put, cheek augmentation involves placing a soft, customized implant against your cheekbone to provide definition to a flat contour, add shape to underdeveloped cheekbones, or replace age-related volume loss in the mid-face. Using the same techniques, we are also able to correct facial defects or asymmetries. Although there are different approaches to placement of the cheek implant, the best and least invasive is placement through a small incision inside the mouth, which leaves no visible scars on the face. In the hands of our experienced cosmetic surgeons, chin augmentation is a safe, straightforward procedure that can make a dramatic difference. After surgery, some temporary swelling and bruising of the face are to be expected. These should resolve within a few days as your body begins to heal. What are cheek implants made of? Cheek implants come in a large variety of shapes and sizes, allowing us to select the perfect fit for you. The implants are carefully designed to fit the skeletal form of your face, resulting in a very natural appearance. Most are made of Silastic, a soft inert material that has been found safe for implantation. Can I enhance my cheeks without surgery? Here at Inland Cosmetic Surgery, we also offer non-surgical cheek enhancement. This is a great option for anyone who wants to visualize potential results of surgery or is not ready to commit to the cost and downtime of a more invasive procedure. By carefully injecting dermal fillers, we are able to create the appearance of high cheekbones and youthful contour. During your consultation, we’ll examine your area of concern and, keeping your desired outcome in mind, help you determine which option is the best choice to meet your needs. If you’re interested in improving your cheek contour, we encourage you to contact us today to schedule your consultation.